Blessing's Home Health Agency is a locally owned and operated home health agency in Mesquite, Texas that is committed to providing the highest quality home health care services in Texas. Using the latest and most effective treatment options, our professionally trained staff works under the direction of your physician, following a unique care plan to meet your home healthcare needs. 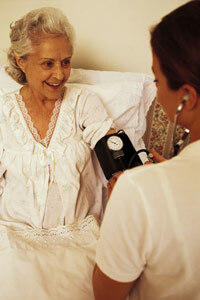 We offer a variety of home health services. Our nurses and therapists are available seven days a week, 365 days a year. All our employees must pass a pre-employment screening that includes reference, educations and experience verification, as well as a thorough criminal background screening. All personnel are supervised by our Director of Nursing and work under the direction of your physician in providing your care. Blessing's Home Health Agency is committed to providing the highest quality home healthcare to our community. We strive to deliver tender, compassionate and competent services that meet the unique needs of each client. Our goal is to improve the health of every client we serve. We will conduct ourselves professionally, ethically and respectfully in our dealings with clients, family members, institutions, employees, and the communities that we serve. No Out of Pocket Cost - Call Today! ©1996-2019 Blessings Home Health Agency, New LifeStyles Media Solutions. All rights reserved.